on our society and the environment." 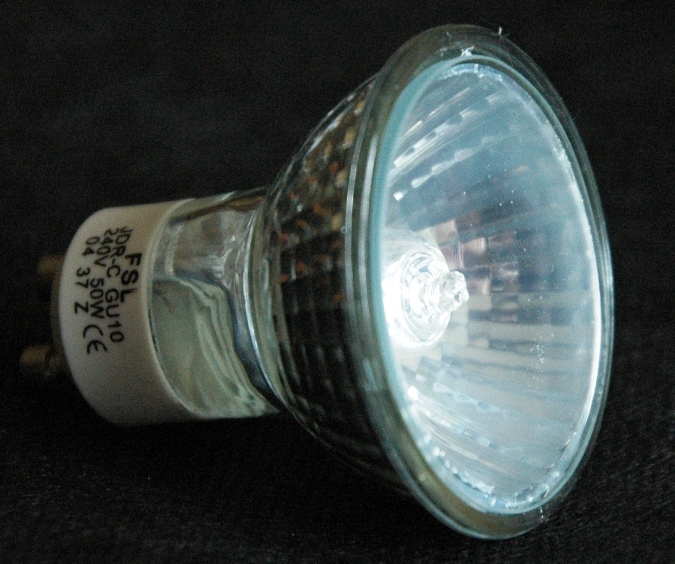 Halogen lighting has become incredibly popular in the last decade or so. They are most common as spotlights or downlights and can often be seen in modern kitchens or bathrooms. Whilst it is true that a 50 W halogen bulb gives out more light than a standard 50 W lamp, their design is such that much of the emitted light is concentrated in a narrow angle - so lots of them are needed to provide reasonably uniform lighting in a room. Although individually more efficient than a standard bulb, the fact that more need installing means the total power is higher than if a standard 100 W or 150 W bulb was handing from the ceiling with a diffusing lamp shade over it.